When you’re trusting a lawyer to handle a legal case, you expect them to put time and effort into preparing it. You’d also think they would act professionally, which includes showing up to appointments on time, communicating with you, and staying organized. Lawyers that are negligent risk the outcome of your case, which extends to affecting your wellbeing and future. But you can hold them accountable with a Philadelphia legal malpractice lawyer from Shrager & Sachs. If you’ve concluded that you need to sue your attorney, we can help you. We have experience with legal negligence cases, and we understand how complex these situations can be. Our team is comprised of skilled, compassionate professionals who believe in standing up for innocent people who were wronged by negligent individuals or groups. Legal malpractice occurs when an attorney acts negligently or incompetently while handling a client’s case. Their actions could be accidental or on purpose, but for malpractice to occur, the client must have suffered as a result. This means that the client suffered losses because the lawyer mishandled their case. In a personal injury claim, the client may have not been the one at fault, but still could have incurred many damages. They could be facing medical bills that they can’t afford to pay back or will need to afford medical care in the future. There could also be property damage that they need to fix. It’s not fair for the innocent party to have to cover these costs themselves. They may be depending on the claim to get a settlement so they can make these payments. Without fair compensation, the person may be put under extreme financial stress. If they’re not able to cover the costs, it could also destroy their credit. The outcome is frustrating especially when a capable lawyer would have gotten different results for the client. The negligent lawyer should be held accountable for their actions and the injured party deserves justice. What Are the Signs of a Negligent Lawyer? Having a negative legal experience may make you wary of other attorneys in the future. There are a few indicators of whether or not this person will give you the representation you deserve. They can also signify that they may act in a way that puts your case at risk. Disorganization. A messy office or piles of cases with seemingly no organizational system can show you that you can’t depend on this person to keep your important documents in order. Tardiness. You need to have representation that respects your time. Lateness for appointments or court dates wastes your time and may affect your case. Lack of Communication. You should be able to ask questions and be up to date with your case. Lawyers that skirt calls and ignore emails aren’t reliable. Rudeness. Personal injury cases can be delicate situations. If your lawyer constantly cuts you off, talks down to you, or makes improper remarks during your meetings, know that you can find better legal counsel. Noticing any of these warning signs means that it’s time to look elsewhere. 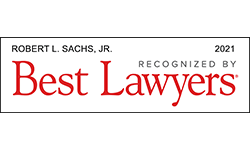 In Philadelphia, Shrager & Sachs sets the standard for treating clients with respect and dignity while handling their cases. We’re prompt in communication to keep our clients on the same page and always prepared for court dates and appointments. You may not be familiar with the types of legal errors or even know when your lawyer makes one. 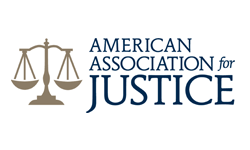 The American Bar Association released the common reasons individuals decide to bring a legal malpractice lawsuit forward. It’s important to have this knowledge so you’ll be able to pinpoint what went wrong. Failure to Know or Apply the Law. It’s an attorney’s job to know the current laws and how to apply them. Failure to do this could jeopardize a client’s case. Planning Error. This is when the council has all the facts and still makes an error when it comes to strategizing or proceeding. Inadequate Investigation. Certain facts and evidence will be presented that have been discovered in an investigation, but the evidence in question was never actually found. Failure to Follow Client’s Instructions. An attorney either knowingly or unknowingly goes against the client’s instructions for their claim. Failure to Calendar Properly. A lawyer needs to stay on top of deadlines and time limits. Forgetting to do so could make their client miss important dates. Procrastination. Inaction causes a client’s case to be delayed and they can suffer losses. Failure to Obtain Client Consent. Clients need to be informed of risks and alternative methods before proceeding because they may prefer a different route. When they don’t know about risks, clients are making an uninformed decision and therefore can’t give consent. Conflict of Interest. A lawyer can be held accountable for having a conflicting interest, whether or not they’re aware of it. Fraud. Fraudulent actions could cost the client their time and money without having any results. 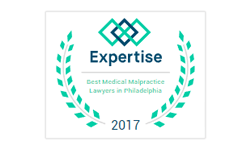 If any of these sound familiar to you or if you believe a different legal error was made at your expense, you can consult one of our legal malpractice lawyers in Philadelphia. However, it’s still possible that you’re not sure if they committed legal negligence or not. When you explain what happened to your case with your attorney, they will be able to figure out if and how the previous attorney was negligent. What Could Indicate Legal Malpractice? You may be in a situation where the outcome of your settlement was unfavorable and you think something went wrong, but you’re not sure how or can’t indicate a specific example. Take a look at these issues that could arise with a negligent lawyer. Contracts. Before your lawyer starts working on your case, you’ll discuss fees and agree to a contract. If your lawyer bills you for unexpected items that weren’t discussed or breaks the contract in any way, you may have grounds for a lawsuit. There even could be situations where the contract itself wasn’t reasonable and made you agree to unfair terms. Unethical Behavior. Your attorney is supposed to have an open line of communication with you and to speak honestly. If they lied about your case, took money from you, or acted in another unethical manner then they committed malpractice. Legal Ability. 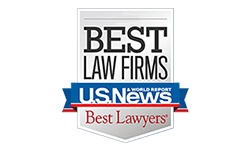 When deciding on hiring a lawyer, you want to choose one who has had experience with your type of case before and had successful outcomes for previous clients in similar positions as yourself. Your lawyer may have lied about their experience with cases like yours and weren’t prepared or knowledgeable enough to handle your case. Attorney’s Self-Interests. Your lawyer is supposed to fight for your best interests. However, this may not stop some from acting purely in their own self-interests. This could mean financially or some other reason. In any case, you weren’t put first and that led to unnecessary suffering. If any of your lawyer’s actions have raised your suspicions, then it may be helpful to discuss what happened with another attorney. We’re here to listen and help you get through this. The Existence of an Attorney-Client Relationship. When an attorney agrees to offer you their legal services and you accept them, there’s usually a contract or written agreement to show this. The Attorney Acted Negligently. You need to show that your representative failed to act like others in their position would have. You can say that had your attorney acted as others would have, the outcome of your case would have been different. Their Actions Caused Your Damages. Once you show that if your lawyer hadn’t been negligent, your case would have been successful, you can discuss how the poor outcome has affected you. There may be economic and noneconomic damages involved. When your current lawyer presents evidence that proves these points, you have a better chance of getting a favorable settlement that will help you financially recover from your experience. How Can Shrager & Sachs Provide You with Sound Legal Advice? 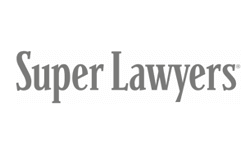 If you’ve suffered financial losses because of an incompetent lawyer, we’re here to help. We’ve been protecting Philadelphia citizens’ rights for years and will continue to fight for yours. You deserve to know that there are trustworthy lawyers who will go above and beyond for their clients. 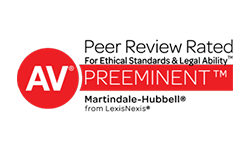 Give us a call today to schedule a consultation and we can review your case. You’ll have peace of mind that someone is looking out for your best interests. You can focus on the future without worrying about how you’re going to cover debts and can allow yourself to get better.